The Electronic Enterainment Expo is three days of gaming, parties and news. But it’s also a lot of work, whether you’re there for business or just to take everything in. The show floor is packed wall-to-wall with video games vying for your attention, gamers, developers, the media, and hawkers brought in to try and drag you over to their booth, their game. It’s a daunting spectacle the first time you take it in, but with a little preparation and the right gear you’ll be fine. 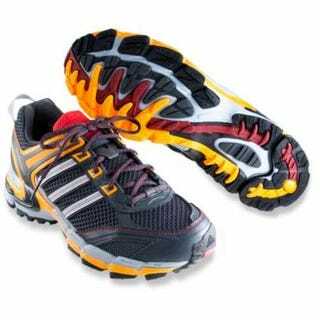 • Shoes: Forget style, go for comfort when you’re packing your shoes. E3 only lasts three days, three days of standing, walking, running and very, very little sitting. Running shoes are great, but personally I’m a fan of the trail shoe. I wear my Supernova Riot 2 Trail-Running shoes almost everywhere. If you must be fashionable bring along a pair of Vans or Clarks Desert Boots. • Clothes: Think light. Light t-shirt or button shirt, comfortable slacks or jeans. You probably should also consider packing a stowable wind or rain jacket. I tend to bring along my Patagonia Rain Shadow Jacket and Burton Sleeper Hoodie. • Gear Bag: Almost as important as your shoes is the bag you’ll be toting around for the length of the show. After years of using over-the-shoulder bags like my Dakine medic bag, Chris Plante convinced me to move back to a backpack for the sake of my back and neck. Current, I use an Equilibrium bag. And I love it, despite the fact that Tristan and Trish always sing Dora the Explorer when they see me wearing it. There are plenty of other stylish gear bags to pick from too. Other great options include the Ogio Metro, Gravis and Mishka’s Panzer Rucksack. • Water Bottle: Stay hydrated. I can’t stress how important that is to staying healthy and being at the top of your game. You’re going to want to try and drink about 2 liters a day. Plan to bring a bottle with you that you can top up throughout the show. Nalgene, CamelBak and plenty of others have neat options. There’s also Vapur‘s fancy foldable water sack. Recently, I’ve taken to bringing a carabiner water bottle clip to strap a bottle to my backpack (And remind me to drink.). • Pencil and Paper: Nothing fancy here. Pick up a reporter’s notepad at your local supply story or a Moleskine from just about anywhere and pack a few pencils. Why pencils? They work in all weather, don’t run, and can be used to slay vampires in a pinch. • Electronics: Laptops, phones, cameras, video recorders, audio recorders. That gear is going to be packed to the gills. I do my best to try and find devices that can do as many things as possible well. I’m a big fan of the iPhone 6 plus , but any camera-sporting smartphone will do. I also sport a Mac Book Air. In a pinch the iPhone can be used for note taking, picture taking, video taking. And don’t forget the chargers. I also love my Earhugger, which can charge an iPhone from a socket, USB, car power plug or even a 9V battery. • Snacks: Don’t waste time eating lunch! That’s crazy talk. Instead pack a bunch of bars. I’m a big fan of Kashi‘s tasty selection of chewy, crunchy and cereal bars. Is it healthy? Not really, but I’m a busy guy and it’s only three days. I wouldn’t suggest you do this, but I typically have a bar for breakfast, one for lunch and then a huge dinner, when possible. • Vitamins: You don’t want to get sick at E3, but those long days and all of those people mingling in a confined space means your chances are higher than usual. I make sure to take plenty of vitamins while at a show. I’ve moved on from Flintstones chewables to Kind Organics’ Garden of Life vitamins. • Eat: No trip to E3 is complete without a visit to In-N-Out Burger, just ask Ashcraft!Philippe’s French Dip, perhaps the birthplace of the toasty, diplicious sandwich, is another great place to check out. Me? I love the hot dogs and that means Pinks! Fancy, you want fancy? How bout WP24, Wolfgang Puck’s new restaurant, or Flemings. • Drink: Start the week off Monday night by trying to sneak into one of the many parties going on . You can also check out my old hangout, the Golden Gopher. 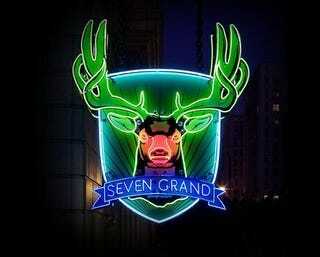 LA is packed with great bars like Seven Grand, Bar 107 and the Library Bar. • Sleep: This late in the game you’re probably out of luck if you haven’t booked a hotel. But that doesn’t mean advise if you already have. That’s because you’re going to want to book next year’s hotel the second you hear when E3 is. Last year the dates were announced the last day of the show. Prepare for the possibility and start scouting out where you want to stay. I prefer staying as close as possible, as long as the place is safe. Need an emergency back up? Try Air BnB. • Go: While you can park at the LA Convention Center, I’d strongly recommend you don’t. If you can, take a shuttle from a hotel, or a cab. Just avoid local parking. • Access: Offically, E3 is an industry only event. What’s that mean? It means you need to be a qualified industry professional, an industry analyst, a retailer or the media. If you don’t have a pass yet it’s likely too late for you this year. But next year, next year you might be able to get in. How? Start a blog, write well, get readers, cross fingers. You can also cross your fingers and hope to be one of the 4,000 to 5,000 people who win a pass this year. The Electronic Entertainment Expo was born at the Consumer Electronics Show out of a need to give video games a chance to have their own national spotlight. The first show was held in Los Angeles in 1995 with more than 1.2 million feet of show space and more than 80,000 attendees. Two years later the show moved to Atlanta, Georgia, returning to L.A. in 1999. The show continued to be held at the convention center until 2007, when it was downsized and move to Santa Monica for a year. In 2008, a smaller version of the show was brought back to L.A. and in 2009 it returned to close to its original format. This year will be the first that officially allows members of the public to the show. But you need to be invited and win a ticket from one of the big publishers. Over the years, the show has been host to countless game launches, numerous system launches and a cornucopia of celebrity sightings. But its chief goal is to bring mainstream and international attention to the world of video games. And for one week each year, it nails that goal. • They Put the Three in E3: While E3 doesn’t really start until Tuesday, the big show kicks off unofficially Sunday night with a Bethesda event. On Monday Microsoft, Sony, EA andUbisoft all have their big press conferences. Nintendo’s and Square-Enix both host their’s Tuesday morning. Tuesday night will be a PC Mag sponsored PC press conference. But, unless you’re invited by the company, not the E3 folks, you’re not getting in. • Hours: The show floor opens its doors on Tuesday at noon and runs till 6 p.m. that day. Wednesday and Thursday the floor is open from 10 a.m. to 6 p.m. with the show closing an hour earlier on Thursday, the last day of the show. • Follow the Three Ps: Plan, plot and pace. Pace yourself. This is a big show, there’s no way you’re going to see the entire show in one day… or two. Even three can be hard. Plot out your day by checking out the official E3 maps. Don’t spend the day running back and forth between the show’s four big halls. Plan your day around a specific hall to optimize your time. • Freebies: The show is loaded with freebies and giveaways. But you’re there to do a job and those items will weigh you down and distract you. • Sweat the Small Stuff: E3 isn’t just about the big games, the huge names, there are also tons of unknown games, unheard of developers, non-gaming events. Make sure you check out the IndieCade and the free Into the Pixel art show reception. • Show Floor Insanity: That’s right, in the middle of the show, in the middle of the show floor there always seems to be something crazy going on. Previous years have included live performances by big bands, celebrity pop-ups, ( We’ve seen Snoop Dog, Elijah Woods and Steven Spielberg), and live Lucha Libre wrestling. One year even had a fire juggling act. Pay attention for events and celebrity sightings. Don’t take the time to travel all of the way to Los Angeles and then not look around. The city isn’t just host to the most important video game show in the world, there’s also plenty of fun things to do in your down time. Schedule in a few days post show to see the sites. Of course it would be crazy to go to LA and not take a trip to nearby Hollywood Boulevard where you can check out the big Hollywood sign, the Walk of Fame and of course Grauman’s Theater. 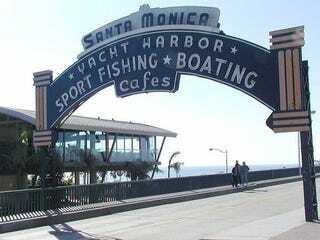 If you have a bit more time make sure to swing by the historic Sunset Boulevard, take inMuscle Beach over in Venice Beach and take a walk along Santa Monica Beach and Pier. Most importantly, don’t forget: It’s a show about video games. Have fun! Originally published on Kotaku. This version has been updated and reworked.